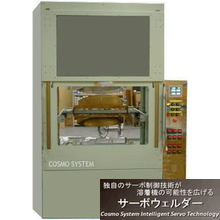 Cosmo's hot plate welders allow to weld large parts and complicated shape parts with high wld strength and hermatic seal. Suitable for large parts welding and hermatic seal of complicated shape parts. 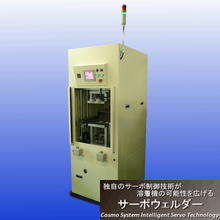 Cosmo builds custom hot plate welder from standard pneumatic cylinder system to high-performance servo controlled system to match with customer's various requests. 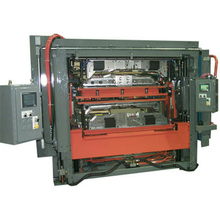 - Upper/lower heater units are controlled indivisually. - This system is custom-made, and we design and build the suitable system to match with your request.